The automotive industry faces the possibility of a sizable capital drain in the near term due to unprecedented investments into electric and autonomous vehicles before the technologies are fully cost-competitive, according to a new study by AlixPartners, a global consulting firm with offices in Southfield. Consumers are questioning the cost and safety of the technologies, as the market is set to continue a cyclical downturn. The study found that by 2023, $255 billion in R&D and capital expenditures will have been spent globally on electric vehicles. About 207 electric models are set to hit the market by 2022. However, many are expected to be unprofitable due to high systems costs, low volumes, and competition. An additional $61 billion has been earmarked for autonomous vehicle technologies, even though consumers say they are only willing to pay $2,300 extra for autonomy, according to two consumer surveys that were part of the study. Current industry costs of the technologies are around $22,900. The AlixPartners study forecasts that the global auto market will grow just 2.4 percent through 2025, which lags behind expected worldwide GDP growth of 3.3 percent. The U.S. auto market is expected to continue its cyclical downturn this year, absorbing 16.8 million units, down from 17.2 million in 2017. It is likely to hit a trough of around 15.1 million in 2020. 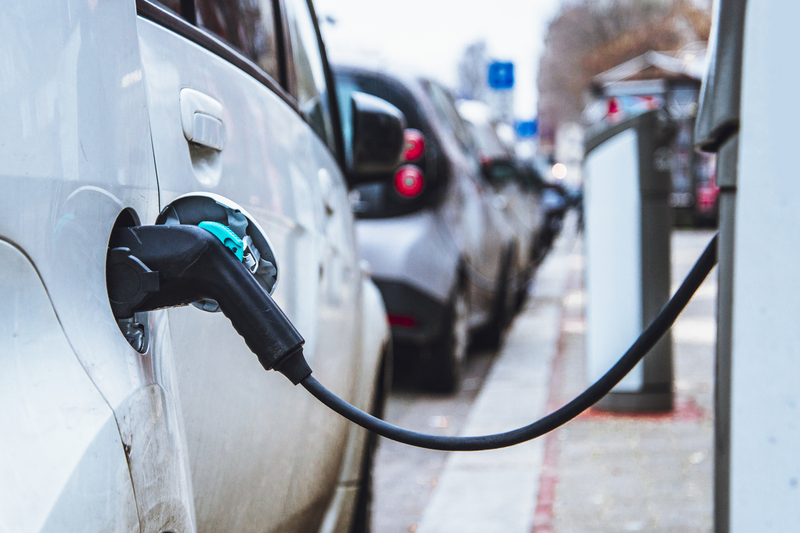 The study also finds reasons for industry players to be optimistic – by 2030, full battery-electric vehicles are expected to reach about 20 percent of the U.S. market, about 30 percent of the European market, and about 35 percent of the Chinese market. Autonomous vehicles are expected to account for 3 million in sales in the U.S. by that time. The consumer survey found that about 22.5 percent of Americans say they’re likely to purchase plug-in vehicles as their next car. However, the study also found that return on capital employed for automakers reached a three-year low in 2017 at 3.6 percent, while for suppliers, it reached a five-year low, at 6 percent. Automotive-related commodity costs were at six-year highs last year, up 70 percent, or $884 per vehicle, since 2015. The large number of launches over the next few years is likely to lead to high incentives in order to sell them, leading to depressed used-vehicle residual value, and in turn, a spiral of lower new-vehicle sales. The study also predicts robotaxis, or self-driving vehicles sold to companies such as Uber and Lyft, usually at lower profit margins than if sold at retail, will decrease retail sales in the U.S. by 1.6 million units in 2030. AlixPartners also found opportunities and risks for suppliers in electrification and autonomy. A quarter or more of supplier revenues are at risk due to the transition to electrification, particularly in powertrain and exhaust systems, which together represented 26 percent of supplier revenue last year. The study also notes risk to supplier and automaker value-chains alike in potential changes to the North American Free Trade Agreement and changes in worldwide tariffs, noting that $45 billion in U.S. auto parts exports could be impacted, as well as imports currently feeding automaker and supplier value chains. Other findings in the study include the fact that the greater China auto market is forecast to grow to 29.1 million units this year and is expected to be at 38.2 million in 2025. Chinese automakers are poised to capture 46 percent of their domestic market by 2020, on their way to becoming fierce global competitors. The European market is forecast to be 21.1 million units this year, up from 20.6 million in 2017, with electric vehicles predicted to capture at least 40 percent of that market by 2030. Diesel vehicle sales are expected to plummet following governmental edicts on top of the Volkswagen “Dieselgate” scandal of recent years. For mergers and acquisitions, 55 percent in automotive in 2016-2017 were in some way connected to electrification or autonomy, and AlixParterns predicts that going forward, there will be an increase in private equity deals in the industry and a continued shift in focus toward Asia and Europe.